Having a great tasting smoothie in the morning is an awesome way to kick-off the day. When that smoothie is good for you to boot, that is even better! 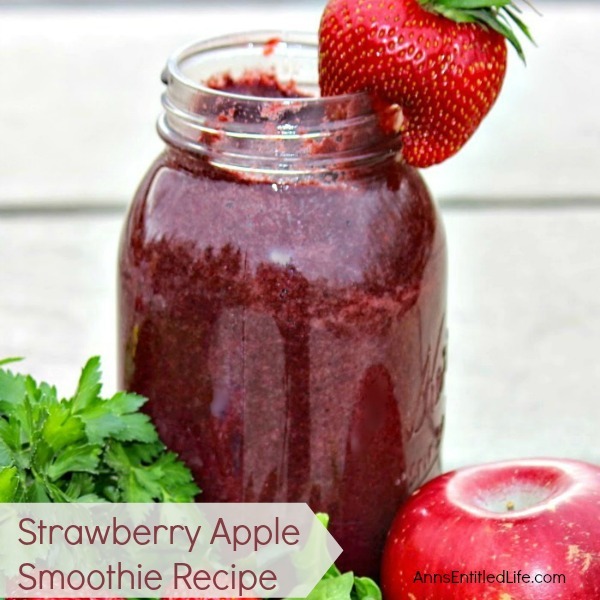 Begin your day with this delicious, good for you Strawberry Apple Smoothie Recipe. • Add all the ingredients to your blender and set it on the smoothie button (typically 35-45 seconds on high). • Check the consistency of the smoothie. Blend more if all ingredients are not completely blended. • Add in more liquid if you like it a bit thinner, and if blend for 10-15 more seconds. • Pour into a tall glass, and enjoy. • Note: 1 cup of Almond Milk or 1 cup of water may be substituted for the orange juice. Having a great tasting smoothie in the morning is an awesome way to kick-off the day. When that smoothie is good for you to boot, that is even better! 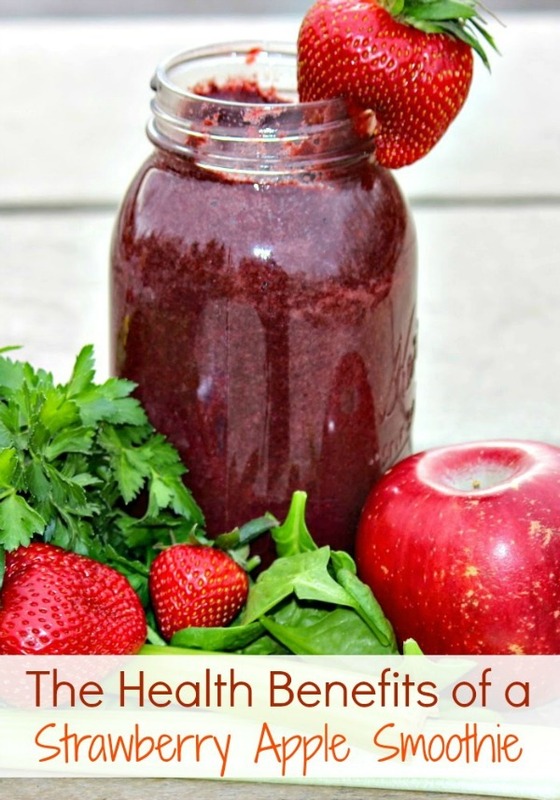 An easy way to get in some much needed nutrients and to make a smoothie taste great is to add in both strawberries and apples. Apples are very high in Vitamin C and are an excellent source of antioxidants. Apples also contain Vitamins B6, Thiamin, Riboflavin, Calcium, Phosphorous, and Potassium. These help to maintain a healthy nervous and cardiovascular system. Don’t forget that apples have a lot of dietary fiber that is needed for having great digestive health. Strawberries are also a great source for Vitamin C and just one cup gives you a 100% to get you through your day. This increases your body’s immunity system helping you to fight off illnesses. Strawberries contain anthocyanins, a class of flavonoids, that helps to prevent heart disease. Strawberries can also help to naturally lower blood pressure and decrease the risk of cancer. I love my Blendtec! We actually have two… one in Florida, and one at our home in New York State. The Florida model is more basic, the model we use at home is top of the line. They both have their pros, and I absolutely recommend a Blendtec to anyone in the market for a new blender! Note: None of this is meant as medical advice. I am not a doctor, and do not play one on the internet. Please consult a physician if you have any questions about juicing and smoothies so your doctor can better explain to you the benefits, possible side effects, and any warnings about juicing and smoothies. • To print the Strawberry Apple Smoothie recipe click here. Strawberries and apples are some of my favorite fruits! This looks great! Thanks for linking up with the Delicious Dishes Recipe party!